Antifragility of Islamic Finance: The Risk-Sharing Alternative explains how risk-sharing, as defined under Islamic finance, makes financial systems antifragile. It highlights the benefits of 100% equity-based finance over debt-based finance. The recent financial crisis has given rise to discussions on a new approach to risk management called antifragility. This concept specifies conditions under which systems become resilient to shocks caused by Black Swans?highly unpredictable outlier events that have a major negative (or positive) consequence when they occur, with their occurrence only explained retrospectively. Per this concept, the long-term survivability of any system centers exclusively on its antifragile nature, that is, its ability to absorb and even benefit from Black Swan?type shocks. 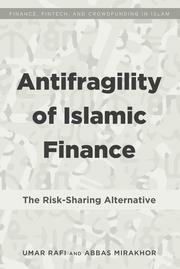 This book aims to investigate risk-sharing Islamic finance as an antifragile system. As a by-product of the Great Recession, the problems of debt-based financial systems are starting to be highlighted by industry and by academia. The antifragile solution for avoiding future financial crises is primarily centered on moving the existing financial system towards more equity and less debt, thereby introducing skin-in-the-game into financial transactions. This book introduces a model of a 100% equity-based financial system, centered on risk sharing, as a possible alternative to the contemporary debt-based, conventional financial system, which is based on risk transfer and on risk shifting. In essence, this book attempts to provide a practical model for an antifragile financial system by evaluating the characteristics of Islamic finance under the criteria of antifragility.